Is it safe for your dog to eat Tomatoes? Read more to find out. Dog lovers often see their pets as valued members of the family, so it should come as no surprise that they often like to give their four-legged friends a treat from the table now and then. While there are many types of people food that dogs can have in limited amounts, others need to be avoided. By understanding which foods are perfectly safe and which ones could cause adverse reactions, it’s much easier to decide if passing a morsel under the table tonight is a good idea. There are some foods that trigger a great deal of debate when it comes to feeding dogs people food. One of those foods happens to be tomatoes. Classed as a fruit and commonly viewed as a vegetable, many people use tomatoes in sauces, soups, and other dishes. So it is safe to give dogs any food that happens to contain some form of tomatoes? The short answer is yes and no. 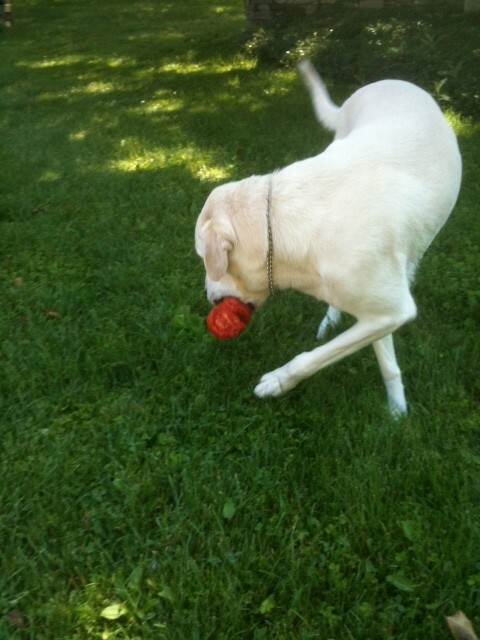 According to Dogster Magazine, small amounts of tomato products are not likely to cause the animal any type of distress. This means that it’s perfectly fine for an owner to pass his or her pet a little bit of meatloaf, since the combination of meat, bread and ketchup in the recipe will pose no problem. At the same time, while the ketchup is not really an issue, the owner should think twice if the meatloaf happens to contain onions or garlic. When it comes to tomatoes in larger quantities, the answer is a firm no. Larger servings are highly likely to cause gastrointestinal distress for the animal. At best, this could mean triggering a great deal of gas. At worst, the pet may have severe stomach cramps. In either case, it’s better to watch the portions and keep them very small. Another point to ponder has to do with the stems and leaves on tomato plants. Those are definitely not good for any canine. They contain a chemical called solanine that is highly toxic to dogs. Homeowners who have vegetable gardens should make sure that the dogs can’t get to the tomato plants at all times. Many green vegetables are fine for dogs. This is especially true when they are cooked. Green beans and broccoli are excellent examples, although the amount of broccoli should be limited for the obvious reason of producing a great deal of gas. For dogs that like to munch on raw vegetables, lettuce is a good idea and is highly unlikely to cause any type of physical distress. What do other dog owners have to say about whether their dogs can eat Tomatoes or not? See comments below. Know if dogs can or can't eat Tomatoes? Help other dog owners by leaving a comment.